Welcome to the UK's first Greyhound Racing streaming website, providing live coverage of all the upcoming British races for fans across the country! 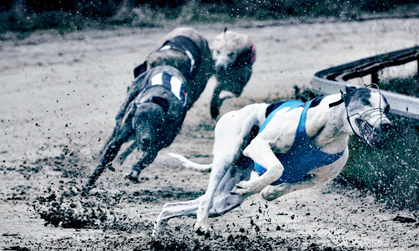 Watch greyhound racing LIVE online from over 25 stadiums in the UK! Stream dog races with your iPhone or iPad every day. The latest race schedules and news available every day. Get fantastic betting, video streaming and commentary for British races! Live streaming from all GBGB registered UK racetracks - watch and bet live online! Stream greyhound racing on the move with your Android/Apple mobile or tablet! All the start times and weekly race schedules available for your diary. Keep up to date with British racing with our live facebook updates. Dog racing is an old traditional sport here in Great Britain and one that's loved by thousands across the country. The first official race was held in Norfolk in 1776 and since then, the sport has grown to see over 3 million attend live stadiums throughout the country from Belle Vue and Hall Green to Henlow and Monmore Green! New to our schedules for 2018 and 2019 is the addition of greyhound races from Australia and New Zealand. We have regular coverage now of tracks such as Cranbourne, Albion Park, Bendigo, Richmond, Ballarat and more. This year will see another fine sechedule from down under such as the Shepparton Cup, Melbourne Cup, National Distance Championship and more from AU and NZ! 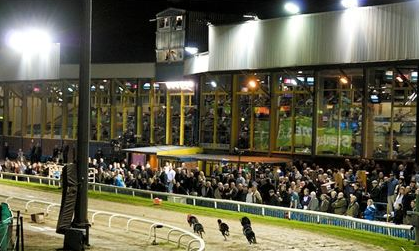 Link 1: Watch Greyhound Racing LIVE and bet at bet365! To watch bet365’s other Greyhound streams you must have placed a qualifying bet of £1 (or currency equivalent) or more on the race you wish to view, you will then be able to launch the Live Streaming player via the link at the top of the race card. Your qualifying bet also unlocks the service for the rest of the evening so you can watch races from any of the meetings displayed in the player. Belle Vue, Brighton & Hove, Brough Park, Central Park, Coventry, Crayford, Doncaster, Harlow, Henlow, Kinsley, Mildenhall, Milton Keynes, Monmore Green, Newcastle, Nottingham, Oxford, Owlerton, Pelaw Grange, Perry Barr, Peterborough, Poole, Reading, Romford, Shawfield, Stainforth, Sunderland, Swindon, Towcester, Walthamstow, Wimbledon, Yarmouth. In order to access the service and receive good picture quality you will require active broadband or a good 3G/4G or WiFi connection if viewing on mobile or tablet. If your device does not meet the required specification, you may still be able to listen to the race by clicking on the Audio link on the Greyhounds coupon page. To find out more about the system requirements needed to take advantage of streaming services view our Live Streaming FAQs. For UK TV coverage, see Sky Sports or Greyhound TV on your Sky or freesat package. At present, it is not possible to find any alternative television channel coverage via British or foreign broadcasters. 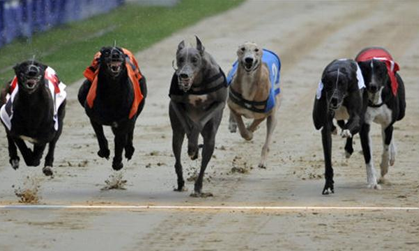 Stream greyhounds live through your pc with our live racing tv website. Our site is run by race fans and aims to provide everyone with the very best in online streaming for dog races throughout Great Britain. All live videos listed are legal and provide both live video and English radio commentary so you can listen to the races live and get the latest results and news. All live streams are subject to t&c and funded accounts. Our streams are available for users on their computers, smartphones and tablets that are based in the UK, Ireland and selected other countries.